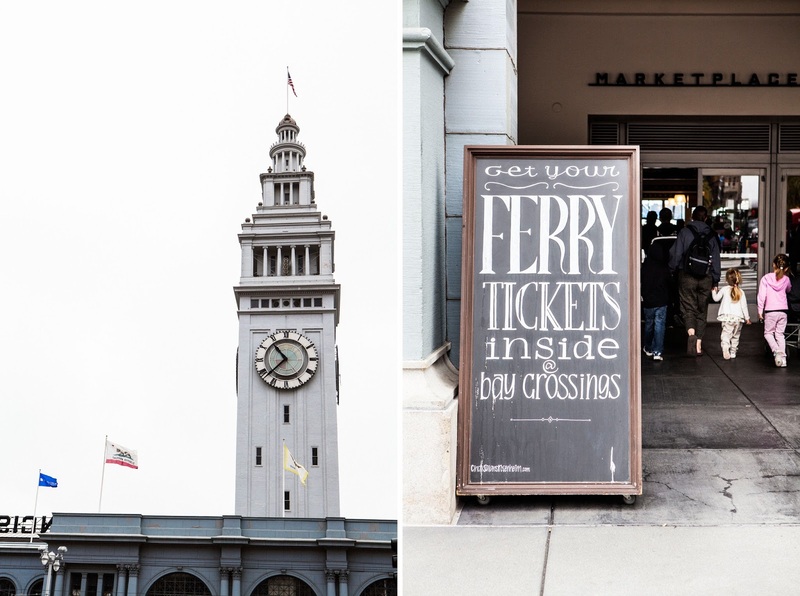 Or, this post should be more aptly titled, "San Francisco: A Guide to the Things I Miss the Most". 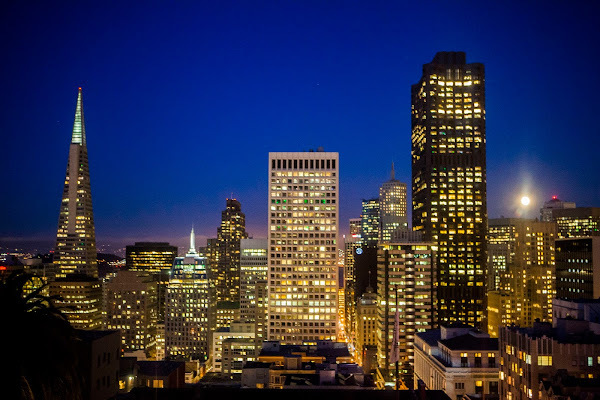 A few weeks ago, I got to go to San Francisco for a conference. I didn't have the time to revisit and do all the things I wanted to do, so don't consider this post a complete guide — there are a ton of places that deserve a shout-out, but I simply didn't have the time/means of transportation/appetite to include them in the post. Instead, consider these the places that I made it a priority to see during this visit. 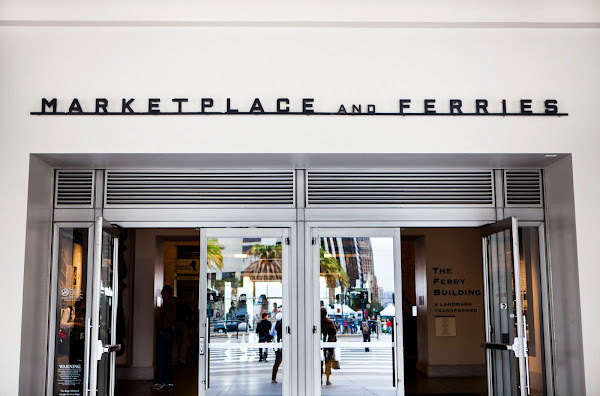 The San Francisco Ferry Building is technically a terminal for ferries that travel across the San Francisco Bay, serving as a port of access into the city for commuters in Marin County. 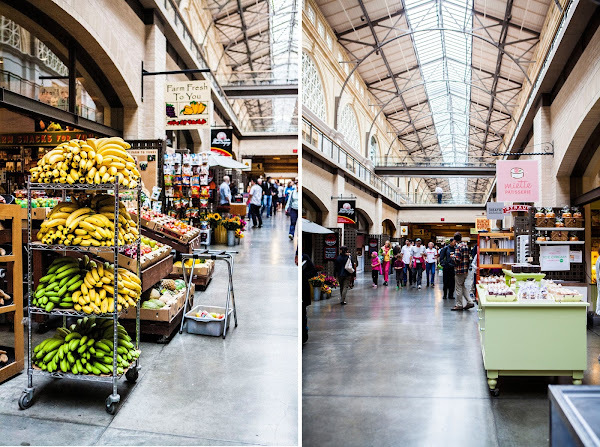 However, most people know the Ferry Building as a major marketplace and food hub, housing some pretty famous and well-known bakeries and restaurants. 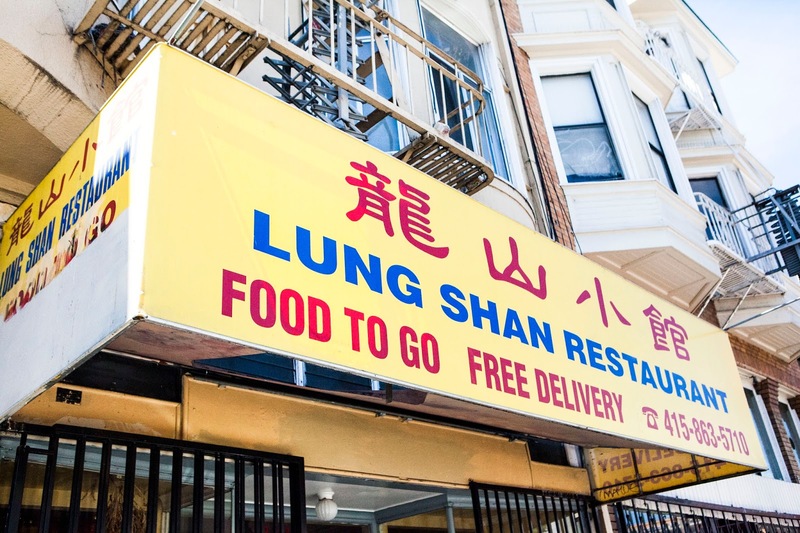 When I lived in San Francisco, I would sometimes treat myself to a work lunch here. At the time, I found the crowds and long lines a little too stressful, waving it off as a tourist attraction. However, whenever I visit the city, I find myself enjoying the hustle and bustle of the building a little more with each visit. I eventually accepted that the big crowds are part of the experience, and maybe even part of its charm. Bring cash since several places, including Acme Bread Company and most stalls at the Farmer's Market, are cash only. 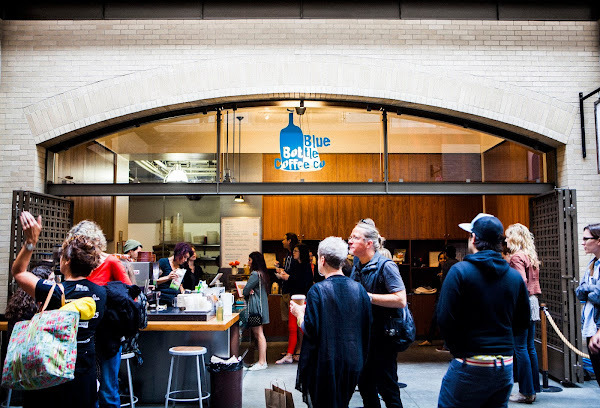 Prepare for long lines and big crowds, especially at Blue Bottle. 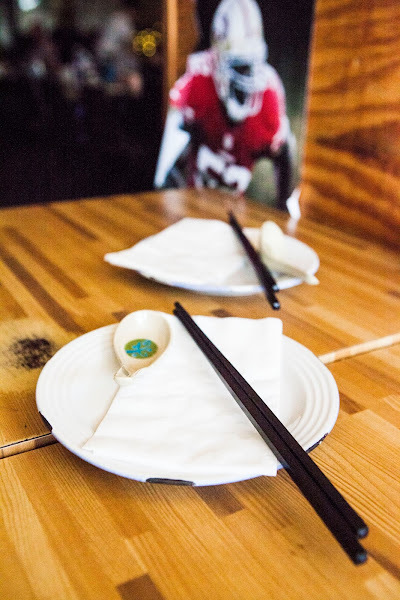 Once you've got your food, don't bother to try finding indoor seating in the building — because good luck! Instead, bring a jacket and head out back to the benches overlooking the sea. There are normally seats open and it provides a much better view, as long as you don't mind the rather aggressive pigeons eyeing your food. 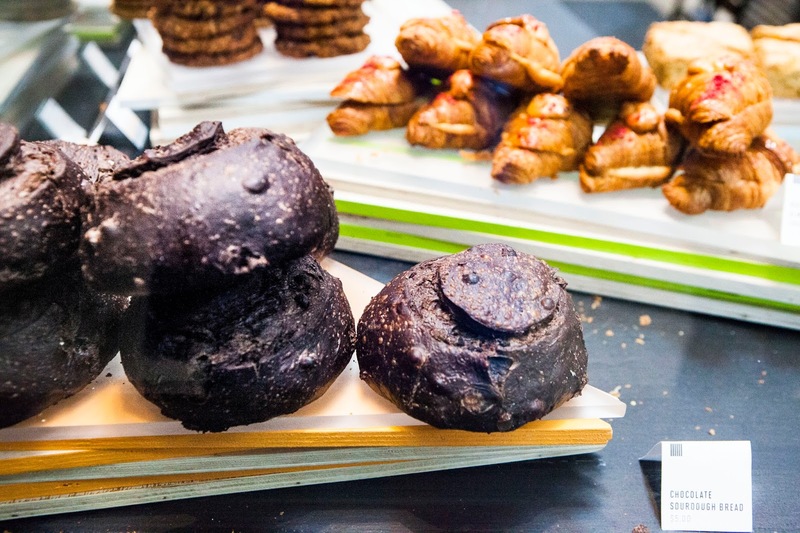 If you must eat inside, Boccalone Salumeria has a small, low, and discreet counter with stools that's hidden in plain sight where you can eat your panini and meat cone. They don't mind if you eat food from other vendors, as long as you purchase something from them first. Blue Bottle is NOT the best coffee place in town (I believe that accolade goes to Four Barrel or Ritual Coffee Roasters in the Mission) BUT their New Orleans-style iced coffee is unbeatable anywhere, even New Orleans. Get this and the waffle for breakfast or a mid-morning snack, and the world will be right. I'm serious. Hog Island Oyster Company is very expensive and generally not worth it, with the exception of the really good quality, super-fresh happy hour oysters that will run you $1.35 a pop. Go for happy hour, and plan on eating dinner elsewhere. 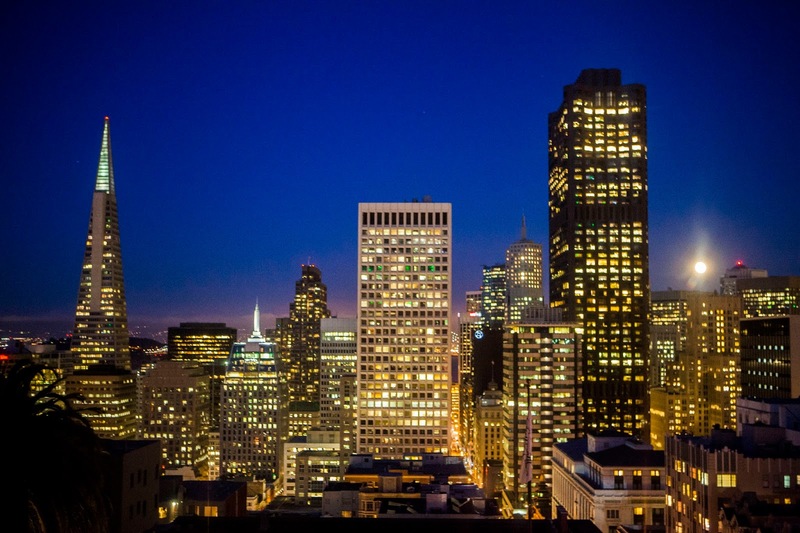 When I first arrived back in 2010, the neighborhood could be described as up-and-coming. Although there were trendy pockets popping up here and there, there were also stories of gang violence and shootings. While still expensive, it was still one of the more affordable neighborhoods in the city since you had to put up with lots of noise, homeless people, and urine in the streets. This was where I lived. These days, the neighborhood has definitely changed. 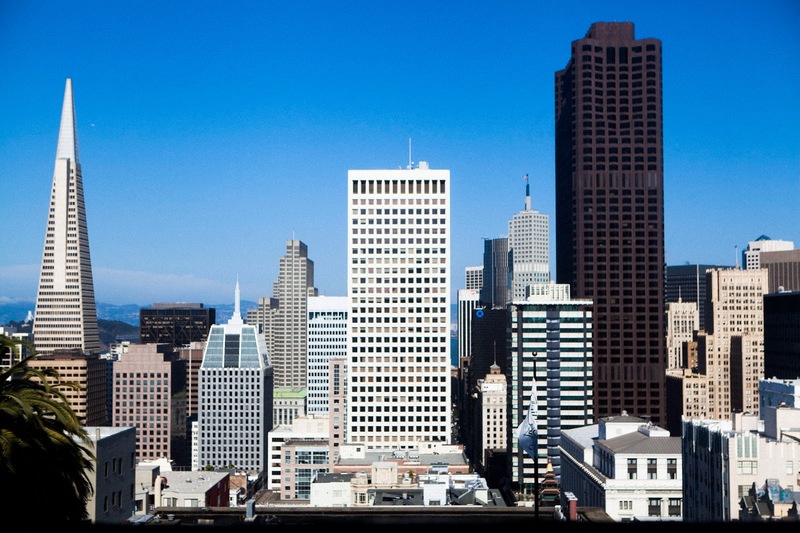 Rent in the neighborhood is now one of the highest in the city. The empty storefronts that used to line Valencia St. are now filled with expensive one-of-a-kind furniture stores. There seems to be a new hip-and-happening restaurant popping up in every corner. 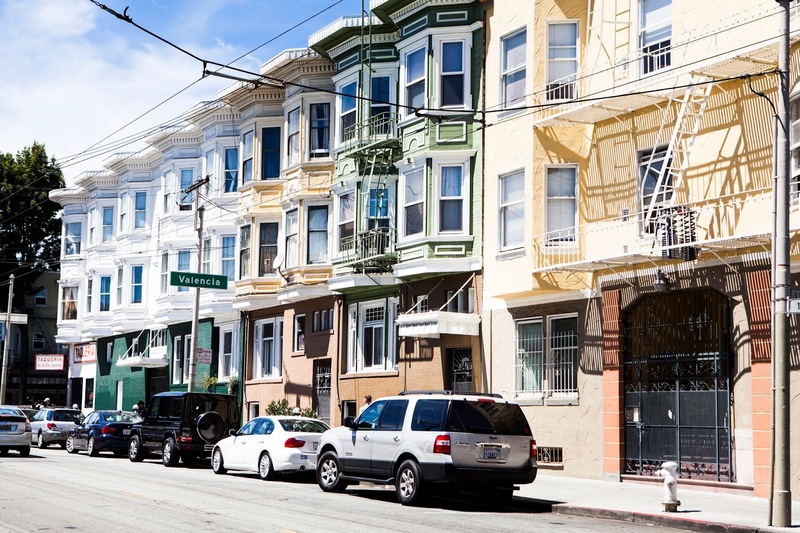 And from what my friends tell me, gang violence has declined considerably since the Latino community that used to dominate the neighborhood's population has been priced out. Whether this change is good is certainly debatable. While I'm happy to see that the violence that used to keep me in my apartment at night has declined, it's also sad to see the community responsible for the neighborhood's history and heritage pushed out. The stark contrast between the new, ritzy restaurants and the homeless men asleep between storefronts is very much evident throughout the neighborhood. 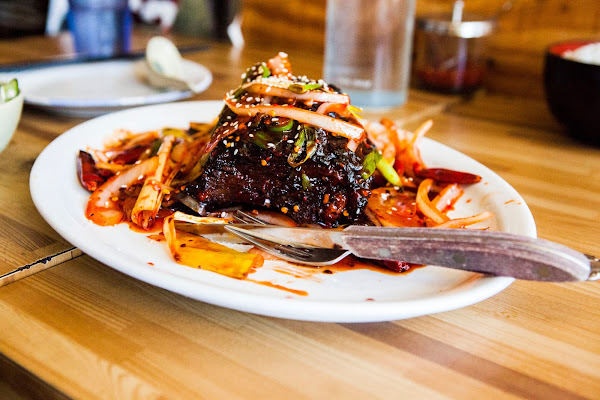 Mission Chinese: General Tso's veal rib, thrice cooked bacon and rice cakes, salt cod fried rice, cumin lab ribs, Tiki pork belly, spicy lamb dumplings, and tea-smoked eel. In that order. A huge, hanging dragon mixed in with... a football poster? Back in the day, when my mom came to visit me, I took her to several really nice and well-known places: The Slanted Door in the Ferry Building, Frances, Nopa... despite all this, the only meal she remembers is the one from Mission Chinese. Specifically, this dish. 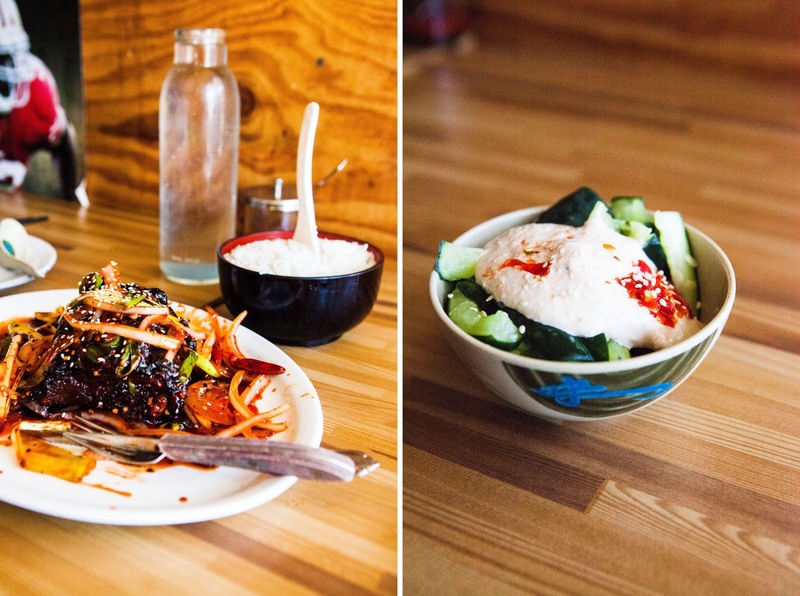 I went to Mission Chinese so much that the head chef, Danny Bowien, started to recognize me and my boyfriend. When we first ordered the veal rib, he exclaimed excitedly and explained that it was a homage to the really Americanized Chinese food (think: Panda Express or Trader Joe's orange chicken) that he loves. I guess we share that same love, because given only one chance, this is definitely the dish I'd export from San Francisco to Portland. 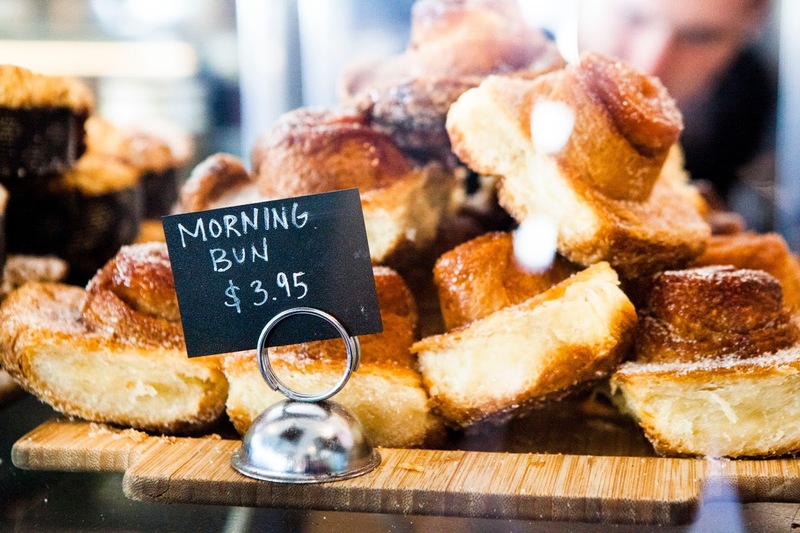 Tartine Bakery: lemon cream tart, morning buns, eclairs, banana cream tart, coconut cream tart, brownies, and croissants. Again, in that order. The lemon cream tart is one of my favorite things in the world. 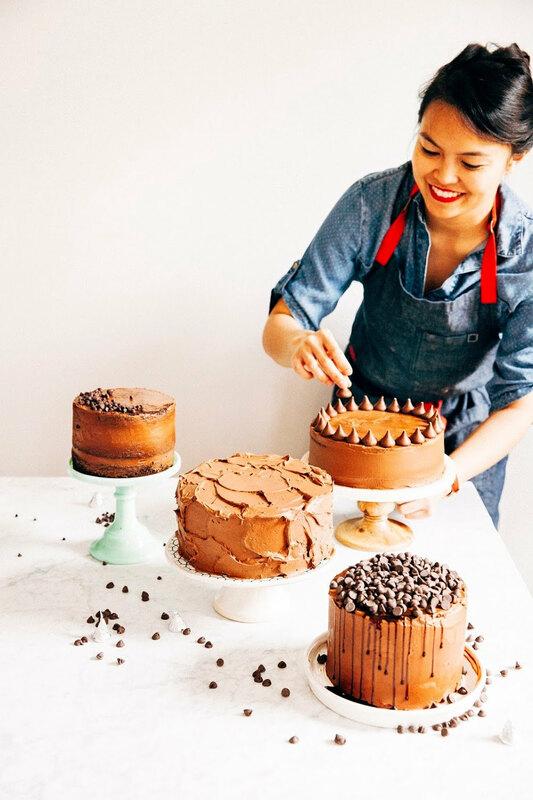 Luckily, the recipe is available in Tartine Bakery's cookbook — I've even made the recipe and several variations (substituted lime, combined it with coconut cream) for this blog. However, nothing can beat the real thing (although, not to toot my own horn here or anything, the recipe on my blog really comes close). Craftsman & Wolves didn't exist when I lived in San Francisco. In theory, I hate the place — the name is misleading (doesn't it sound like a designer clothing or furniture store?) and the concept a tad pretentious. Miniature cakes in the form of cubes? Really? But the patisserie has earned its place in my heart. 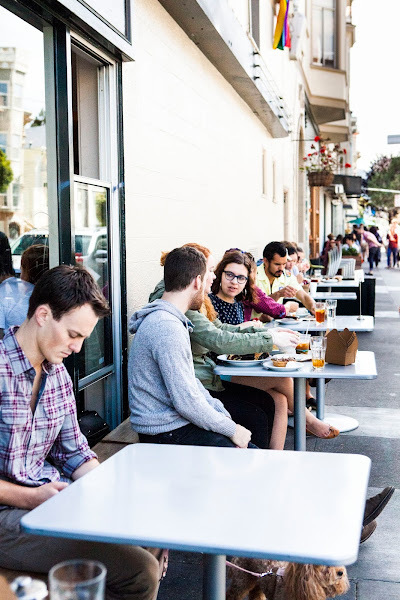 First of all, it's much more spacious than Tartine Bakery — it doesn't have the same long, awful line snaking out its front door. There's much more space to sit, and bigger, better display cases that encourage you to take your time and gawk at the desserts. This is a much better setup than Tartine's, where usher you in a fashion that feels like a conveyor belt/cattle line and you don't have time to see the entire display case before you order. 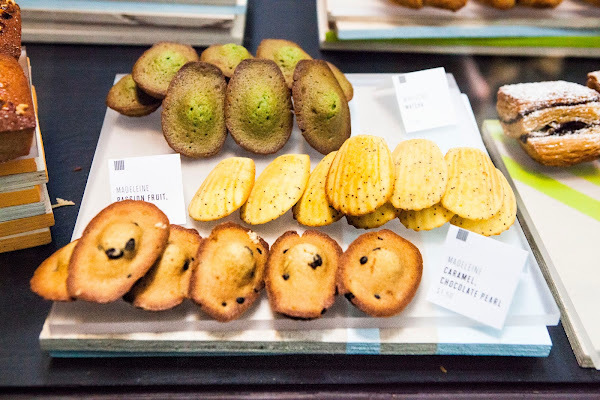 And despite its size and seemingly conservative option considering all the fancy goods available at the restaurant, it was one of the best madeleines I've ever had in my life. 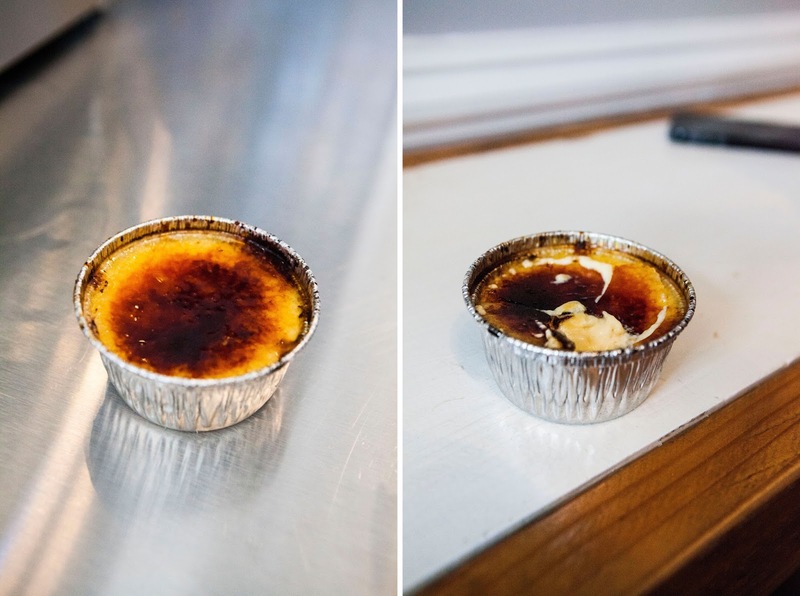 The Crème Brûlée Cart's Brick and Mortar: I know they have loads of fancy flavors and toppings, but I really just love their traditional, plain ol' vanilla crème brûlée. My boyfriend had a crème brûlée from the cart that was made with goat's milk... that was delicious but it was several years ago and I didn't see it on their brick and mortar's menu. 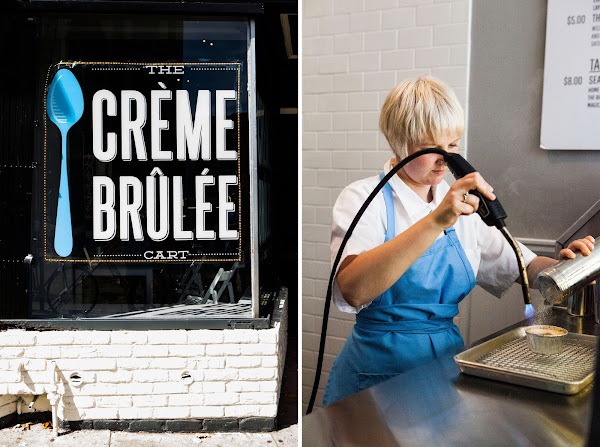 Like Craftsman & Wolves, The Crème Brûlée Cart's brick and mortar didn't exist when I lived in San Francisco. Instead I religiously watched their twitter account to figure out where the somewhat janky pushcart would appear in the city. Eventually the pushcart transitioned to a stand (complete with awning! 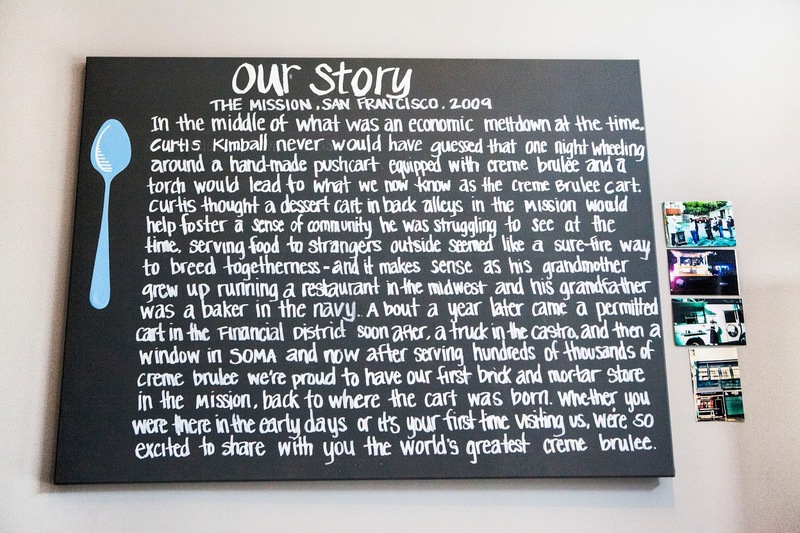 ), before graduating to a food truck and the brick and mortar that I visited. The crème brûlée is still as good as ever. Humphry Slocombe Ice Cream Parlor: Flavors rotate on a daily basis, but my personal favorites are brown butter, Tahitian vanilla (seems kinda boring, I know, but it's the best here), and malted dulce de leche. You know that trend of really fancy, gourmet ice creams that come in odd flavors like Olive Oil and Strawberry Szechwan Pepper? It started here at Humphry Slocombe. And despite all other attempts (most notably, Portland's Salt & Straw which tries SO HARD by combining too much in one — strawberry and cilantro lime cheesecake being the worst offender, for example. Yuck. ), no other ice cream places can compare to Humphry Slocombe. Period. 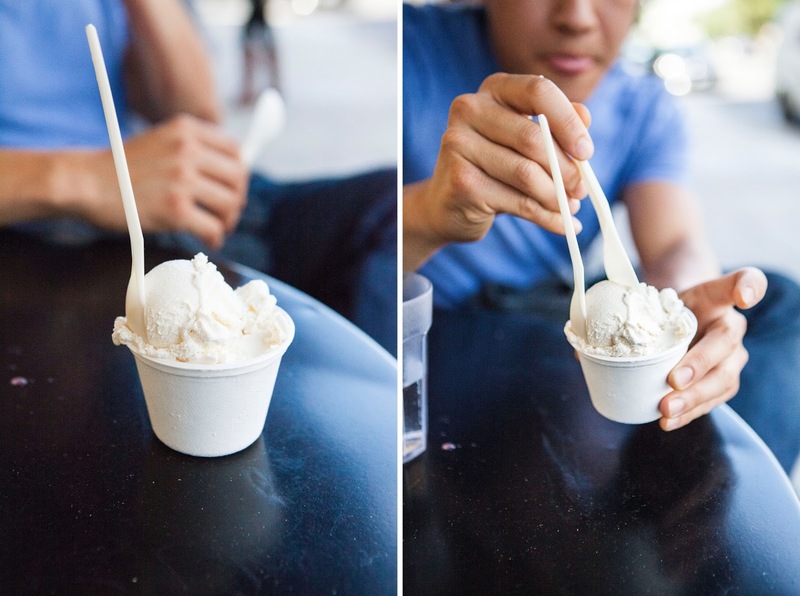 Their Brown Butter ice cream is one of my favorite dishes in San Francisco. It sounds oh-so-gross in theory, but the brown butter imparts a wonderfully nutty, unique flavor to the ice cream that's unmatched by anything else. Like the Ferry Building, bring cash and prepare for long waits/lines. Especially for Mission Chinese and Tartine Bakery. 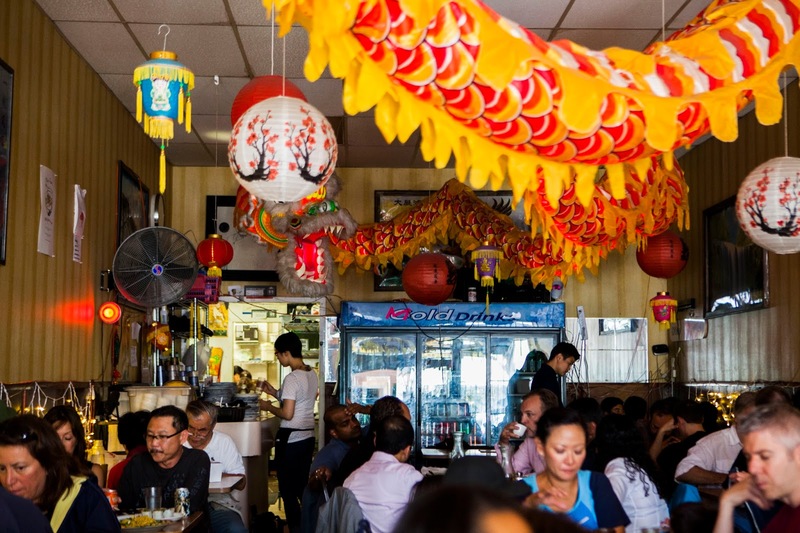 Mission Chinese routinely has hour+ waits and a hipper-than-thou staff. 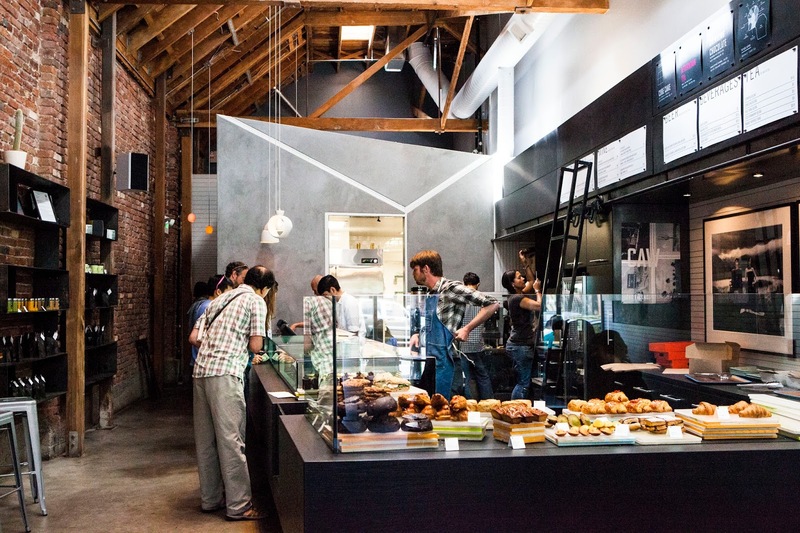 Similarly, Tartine almost always has a long, long line out the door and has snotty service who treat you like cattle. I would never go there if their lemon tart wasn't so damn good. I mentioned it off-hand, but all the best coffee places are in the Mission. 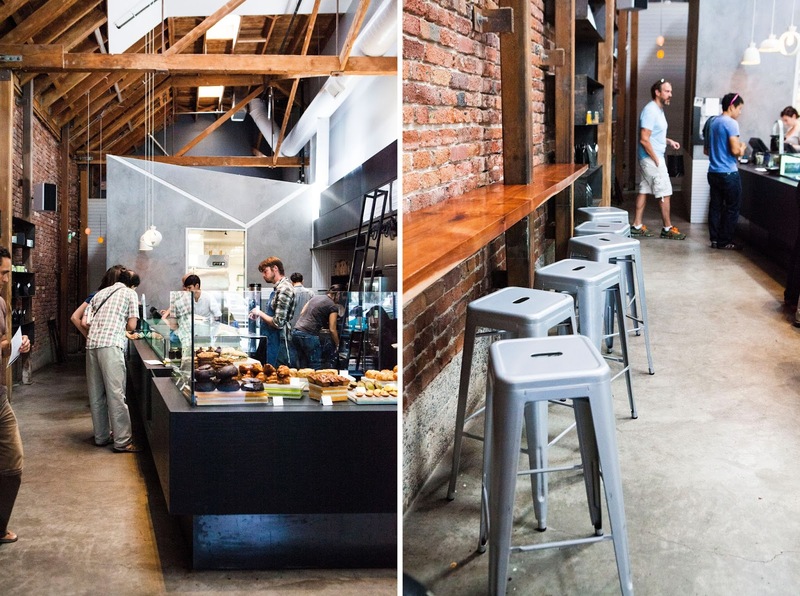 I would check out Four Barrel and Ritual Coffee Roasters. Although the Mission has gentrified rapidly in the last few years, certain areas of the neighborhood are still sketchy. I would avoid walking on 16th completely, and just stay on 18th. And while I'm partial to Mission St. for the hole-in-the-wall Mexican and Asian gems, most people are still sketched out by it. 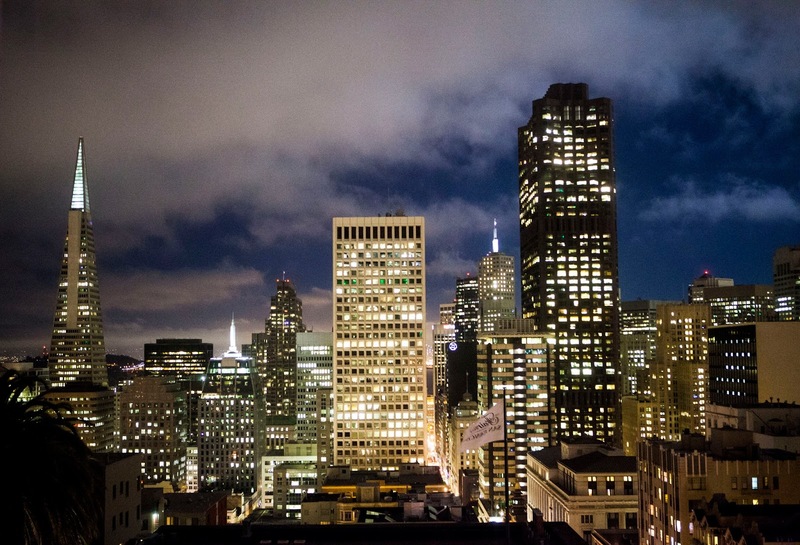 Stick to Valencia St. (which is a block over) if you're walking around late at night. Oh there is just *so* much good food in San Francisco isn't there? 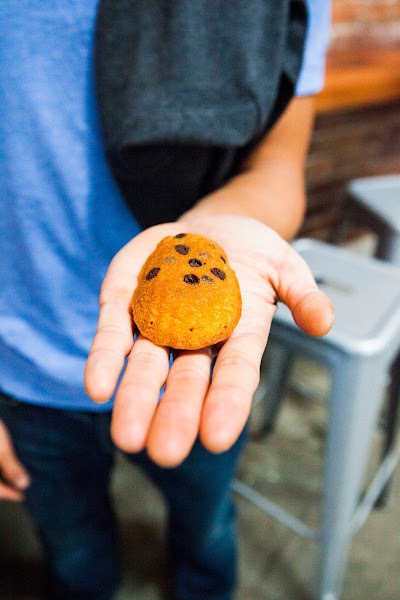 We were there for 5 days last summer and it definitely wasn't long enough to sample everything in town. I'm desperate to go back! 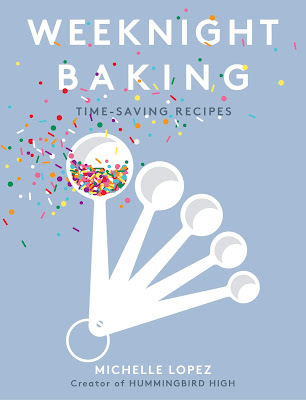 My boyfriend and I plan a trip there at some point, I don't think I'd know where to start on the bakery visits. Are there any must see places? Beautiful photos, and I love your food choices. 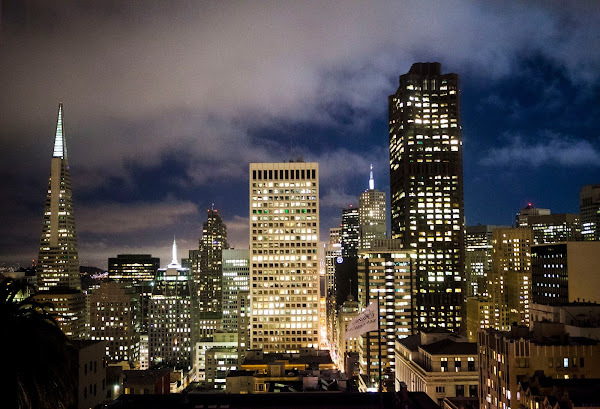 It takes me back to my trip to San Francisco that I just took in June. Mission Chinese Food was my absolute favorite meal in town, as well. LOVED the kung pao pastrami and spicy Szechuan wings! 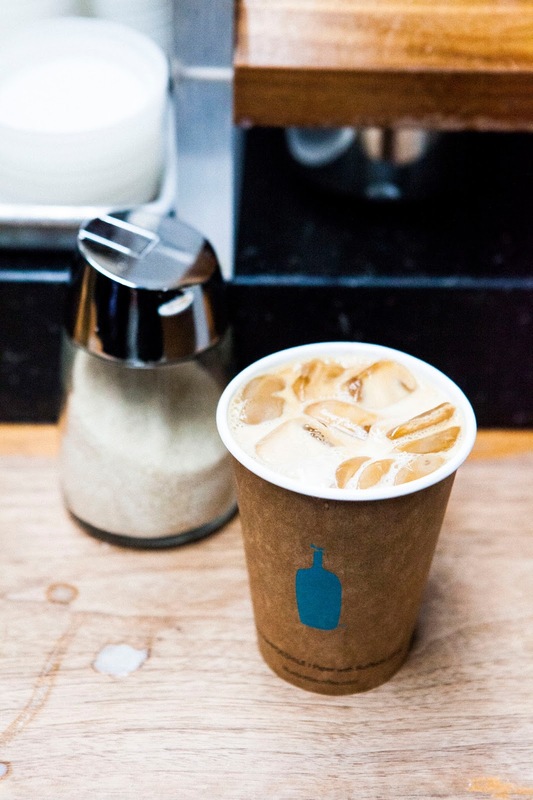 You've also inspired me to go try a coffee truck here (in Austin) that sells Blue Bottle iced coffee! Sigh, San Francisco, no one else waits in line for snooty service like we do. 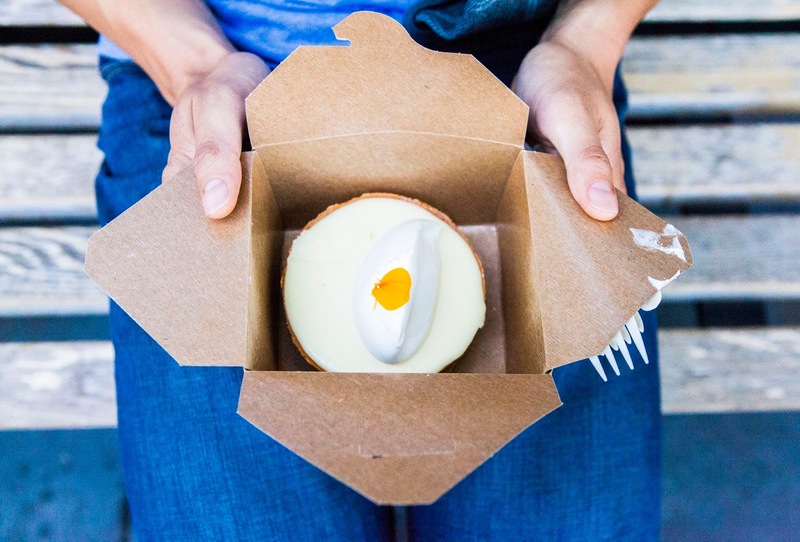 I live near Tartine Bakery but I've never tried to lemon cream tart. Now I know what I'm getting next time I'm willing to brave the line.